Design and teaching courses in the fields of knowledge mentioned. Preparation of the syllabus of various subjects in the fields of knowledge described. Proper functions of the Teaching and Research staff of TecnoCampus. Participation in the proper institutional tasks as a lecturer. To hold a doctorate degree (you must provide the doctoral degree or the payment receipt of the title). To have a report likely to be certified by a university quality agency (AQU / ANECA) or to be certified within a maximum period of three years from the time the contract is signed. Applicants must possess a level of Catalan that ensures the competence of teachers to participate with appropriateness and correction in communicative situations that academic tasks require, so that language rights of students are guaranteed, as provided by the Decret 128 / 2010 of September 14th on the accreditation of linguistic knowledge of teachers of the university system of Catalonia. When the contract is signed, the chosen candidate may choose between the accreditation of the knowledge or the postponement of this accreditation for a two years period. The CV of candidates that meet the prerequisites will be assessed, namely the candidates admitted. University teaching experience in subjects in the fields of knowledge required (must be clearly specified in the CV and it will be accredited by a certification issued by the university where the teaching was carried out). Participation in teaching innovation projects (must be clearly specified in the CV). Other merits. The selection committee may consider other elements of the curriculum a contribution to the candidate's profile. 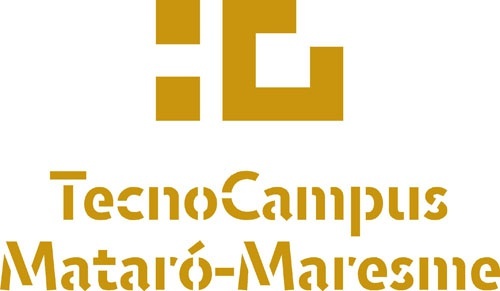 Candidates that obtain over 40 points in the evaluation of the CV and the prior relationship with TecnoCampus, will be called to present and defense the position. Introduce his academic, scientific and professional career (10 minutes). Answer the questions put by the members of the Selection Committee. Employment as a permanent full-time teacher 24 ECTS. It is expressly stated that merits that lack any support or documentary evidence will not be evaluated.